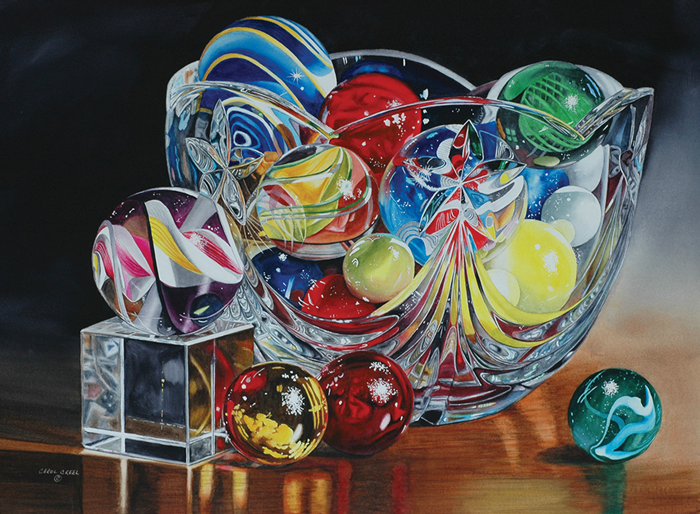 Southern Arts Society (SASi) in Kings Mountain, NC first hosted the National Watercolor Society (NWS) Traveling Exhibit in 2013 and is excited to see it return to their galleries October 1 through 30, 2016. SASi is the only Southeast location to showcase this amazing collection of water based media. The exhibit consists of 31 paintings by artists from around the world who were selected for the traveling show after being juried into the prestigious NWS International Exhibit held in San Pedro, California last year. Over 1000 entries were submitted into last year’s competition, with 6 countries being represented in the traveling show alone. Southern Arts Society (SASi) was founded in 1984 by A.B. Mauney Snow and other local artists to foster a love and appreciation for the arts by educating the community and supporting local artists. Since 2002 SASi has been located in the historic Southern Railway Station renovated to house a gallery, gift shop and space for art classes.